Carpentry to me has HIGH HIGHS and LOW LOWS. 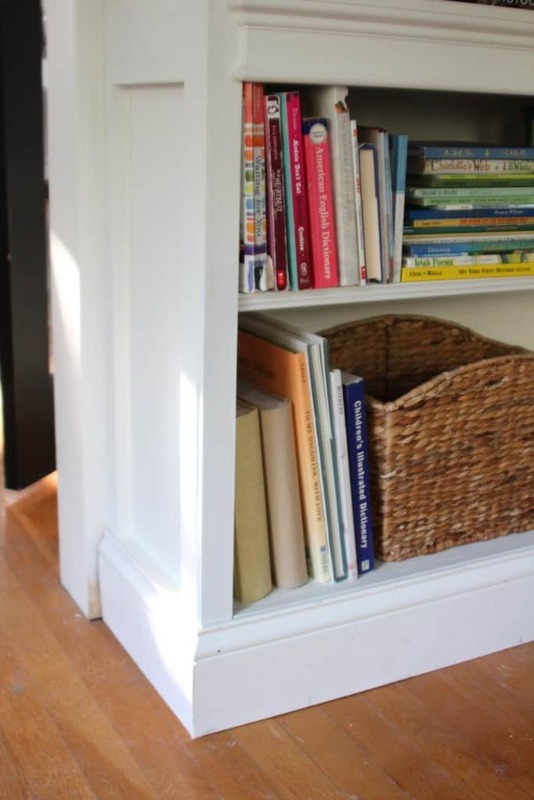 Last week when I shared the wall o’bookcases, I mentioned that after many exasperating years, I finally learned a great trick for cutting perfect outside angles that is simple and really worked for me. For a novice woodworker, it can be really frustrating to get it right and make your work look great. Everything can be going along wonderfully until you get to the finish carpentry and then it looks like Mickey Mouse did it with his ginormous 4 fingered white gloved hands. 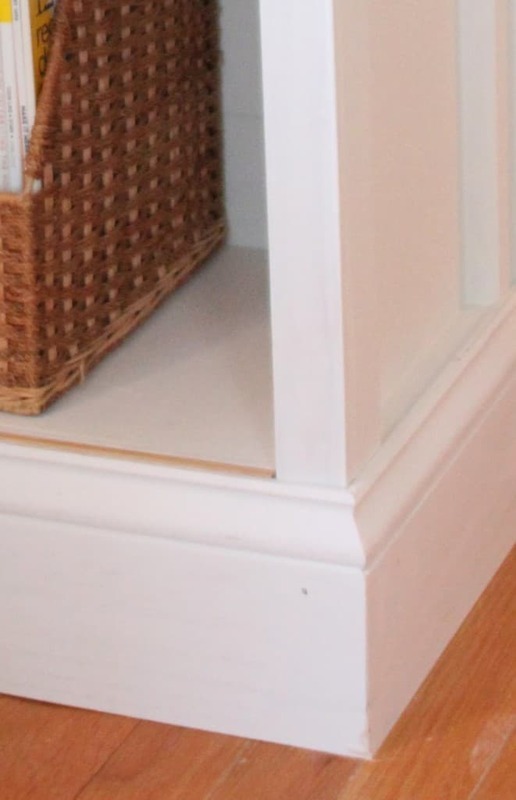 Something like a poorly cut baseboard that has a big gap can make your end result look very amateur —– and there you have your Mickey Mouse job. 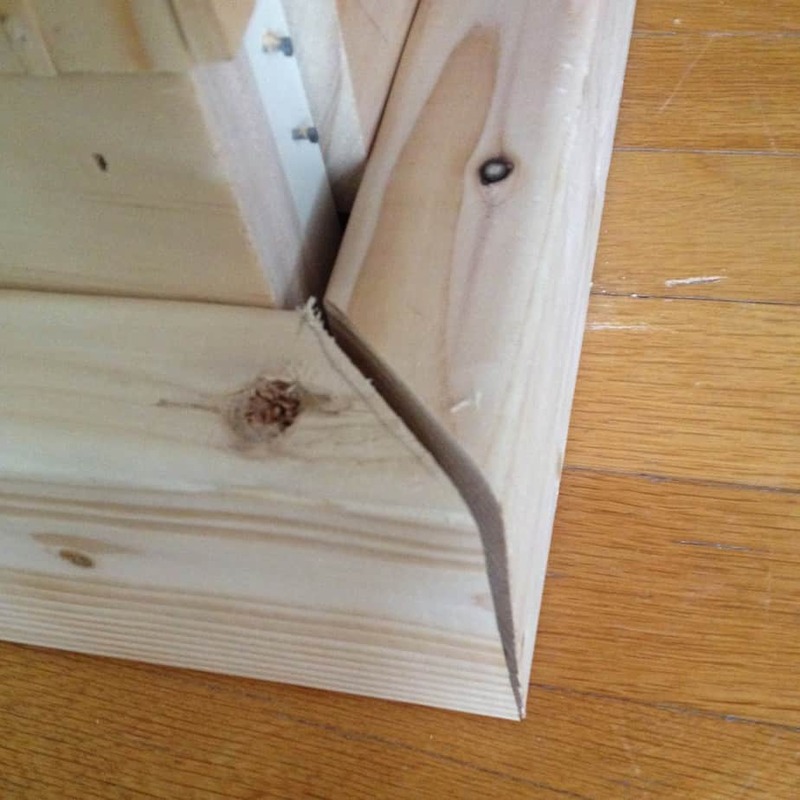 It’s so interesting to me how every seasoned carpenter develops his or her own little tricks and ways of doing things. 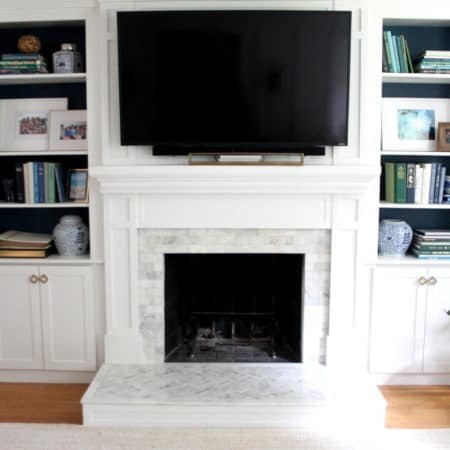 For example, ask a few carpenters how to best find an angle when cutting outside miter corners, and one might say – use a protractor, another – digital angle finder, and another might say use scrap wood as a template and cut the pieces until you get the best fit, then use those angles for your molding. I have tried all these methods, and it’s always a trial to get those outside mitered corners right. 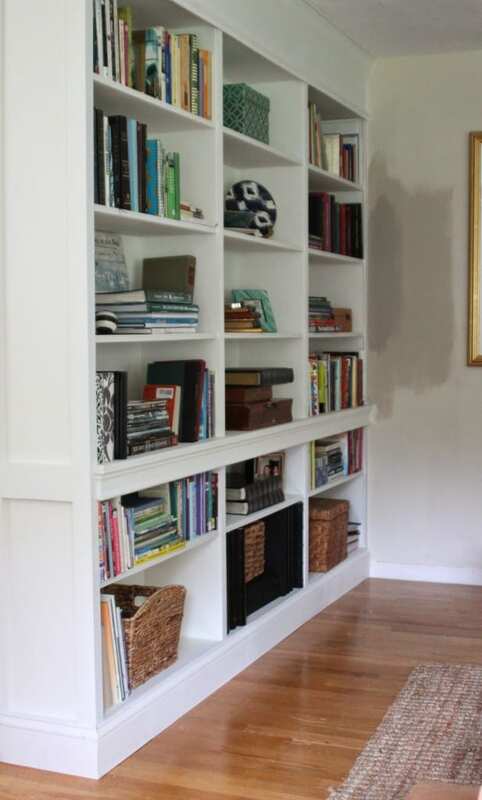 I saved the baseboards on my bookcase project until the very end because I knew getting those exposed outside corners (on either side of the doorway) to be perfect was important to the final product. After a few failed attempts using other methods, I tried this simple idea of overlapping strips of paper (adding machine tape is suggested, but printer paper measured and cut into strips worked for me). With this method, my very first attempt: an almost perfect corner. If you have ever tried to cut baseboard corners you can appreciate that getting it right on the first try is cause for celebration. As in POP OPEN THE BUBBLY! I JUST CUT THE MOST AMAZING MITERED CORNER IN THE HISTORY OF CORNERS!!! I’M QUEEN OF THE WORLD!! ALERT THE PRESSES! TEXT ALL FAMILY MEMBERS! 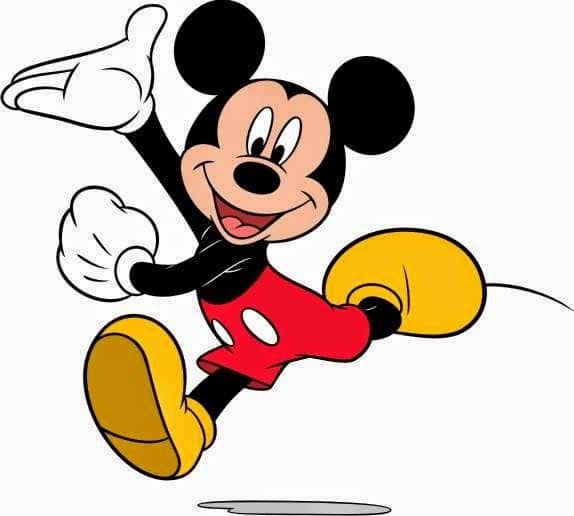 And ps: THIS IS NOT A MICKEY MOUSE JOB! I filled the hairline crack with wood filler and – done. Except for that gap where the other end fails to meet the wall. 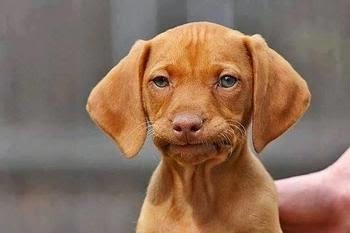 Okay – so I’m not perfect, okay???? Jeesh. Second attempt, other side of the doorway. 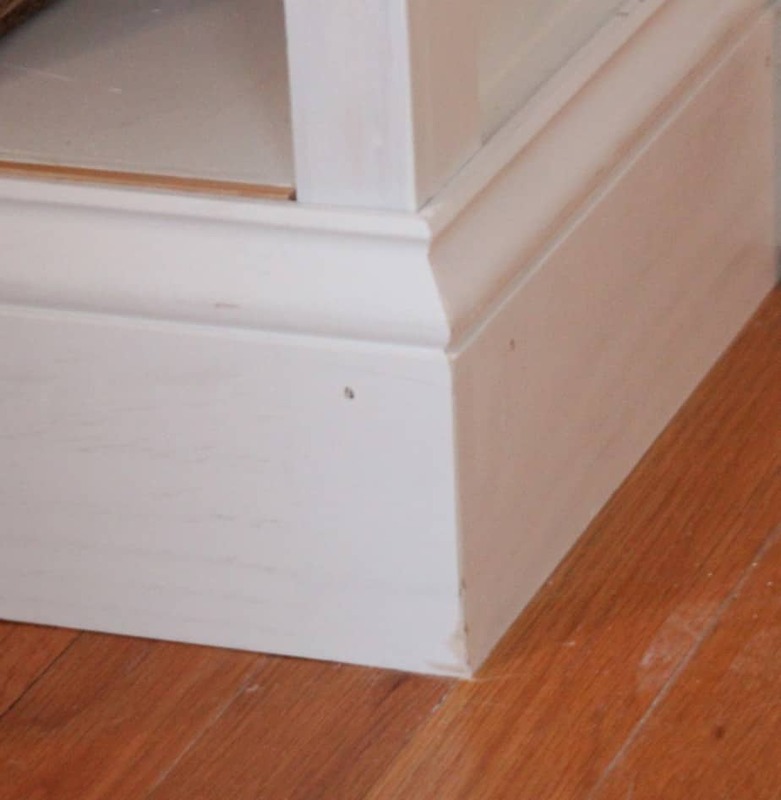 If it sounds like I’m bragging about my awesomeness, let me be the first to tell you that I have wasted many pieces of expensive trim over the years trying to get molding angles right. In this project there are lots of other gaps and “oops” (that I have hopefully disguised pretty well). 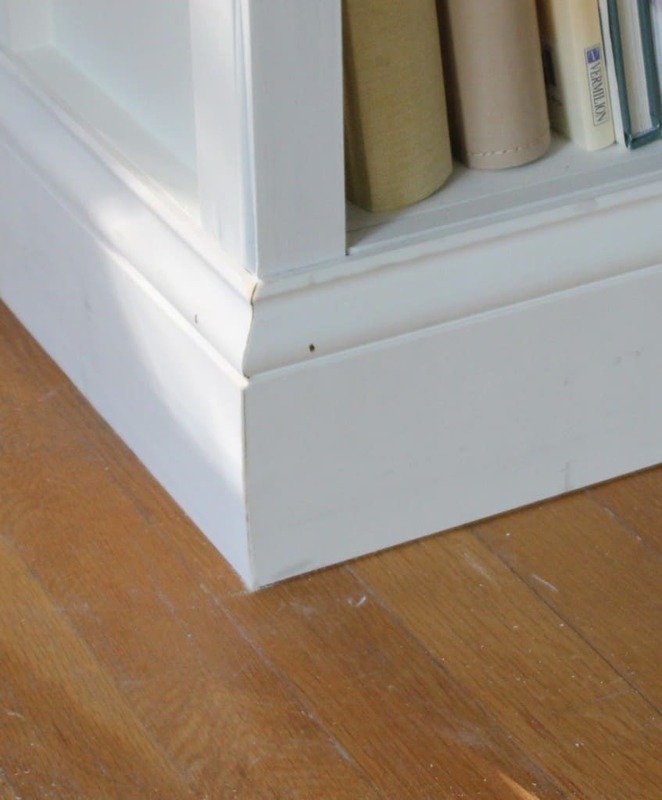 I wanted to share this quick and easy method with anyone who might be cutting baseboards because it really and truly worked for me! watch the video on Youtube and if you try it, let me know if this method works for you! And have yourself a wonderful little weekend! Hubby hates having to figure out all the odd angles. Will have to try this. We have one spot in a closet he still needs to finish the molding on, but hasn't because the angle is so difficult. I'll make sure my husband watches the video. ha! ha! Slacker me. Wow!! Who knew it could be so easy! Caulk has always been my bff, but maybe no more. Thanks, friend! move over mickey- minnie's in the house and she has skills! I've never tried mitering corners but I'm determined to get over my miter saw fear and give it a go for my new molding project! I will definitely be using your great tip! Thanks!! I am lucky enough to be married to a guy who's done professional carpentry for almost 30 years. I just tell him what I want and sometimes he actually will do it! Impressed with your skills Lisa!! Great tip! You are such an inspiration! What kind of miter saw to you own? I am thinking of buying one – it looks like the prices range from super low to super high – I'm wondering if I should go with a certain brand??? No, we've tried this before in our first home and I tell you, we've not done it since (this is our 3rd home)! it's tough getting those corners done and yours look professionally done, so in the end Lisa, your effort was well worth it !